This group of good guys is not exactly what it seems … and that’s a good thing. I recently watched the pilot for The X-Files with my kids. It had been a long time, but I was impressed with how well it held up. Plus, it really was a prime example of what a good pilot should be. We learn what drives our characters – Mulder, the loss of his sister; Scully, who feels like she has something to prove – and that all of the action that surrounds our heroes is not as it seems. We don’t know, yet, about the alien-human conspiracy, nor do we need to. But because of how well-set up the pilot is (as well as the series as a whole … with some apology to those final few “let’s keep the gravy train rolling” seasons), when all of the secrets come to light, we are both shocked by the audacity of the conspirators but prepared for what is presented. 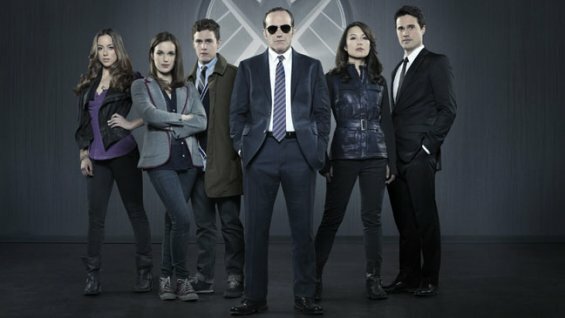 We see this again with the far more recent Agents of S.H.I.E.L.D. Do we know everything about the hacker Skye? No, her agenda does not appear to necessarily mesh with S.H.I.E.L.D.’s, but we don’t know precisely what her end game is. What about Agent Colson’s trip to Tahiti? It clearly wasn’t just a recharge-the-batteries vacation, and probably something far more nefarious. Something’s not right with Colson, and we haven’t been tipped entirely to what that might be. We don’t even know really what S.H.I.E.L.D.’s agenda is as far as why it is collecting the items and mutants it discovers and what it plans to do with them. We know enough to be interested, enough to follow the story, but largely, we the audience are in the dark about some key facts about what is happening and what will happen to our main characters. And then we have Sleepy Hollow. If The X-Files and S.H.I.E.L.D. are the equivalent of mysterious woman seducing a naive rich man over a quiet dinner at an elegant restaurant, then Sleepy Hollow must be the a glitter-soaked stripper bouncing her double D’s right in the face of said millionaire center stage with Motley Crue’s Girls, Girls, Girls blaring at 114 decibels. In the pilot, Sleepy Hollow explains A) how Ichabod Crane manages to revive after hundreds of years, B) that it is because of the magic done by his wife and his pastor, members of a secret good witch cult, and C) that there are both good and bad witch cults, and both have survived since colonial days. In the hands of abler TV writers such as Joss Whedon or JJ Abrams, those are three key facts that maybe aren’t even all revealed in the first season, let alone the first episode. Toss in a meaningless initial subplot regarding how Agent Mills is to immediately head off to the FBI Academy – which everyone knew wasn’t going to happen, because then you don’t have your skeptical partner to team up with Ichabod’s reluctant and confused hero – and the Sleepy Hollow pilot is really a letter from the creators, writers and network to the viewers saying this: We do not respect your intelligence. Well then, to the brain trust behind Sleep Hollow, I say this: I do not respect your show. And I won’t be watching it again.